1. Cut potatoes into larger pieces, chop apple and slice cucumber. Dice herring and beetroot. Cut onion into rings. 2. 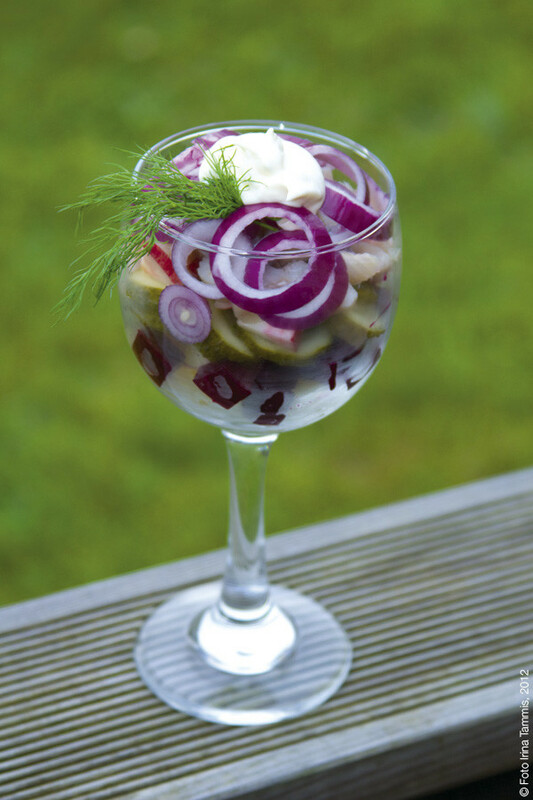 Mix potatoes and apple with mayonnaise, cover with cucumber slices, herring and beetroot pieces and onion rings. Sprinkle with parsley. 3. Mix vinegar, mustard, oil, salt and pepper for dressing. Sprinkle dressing onto salad just before serving.